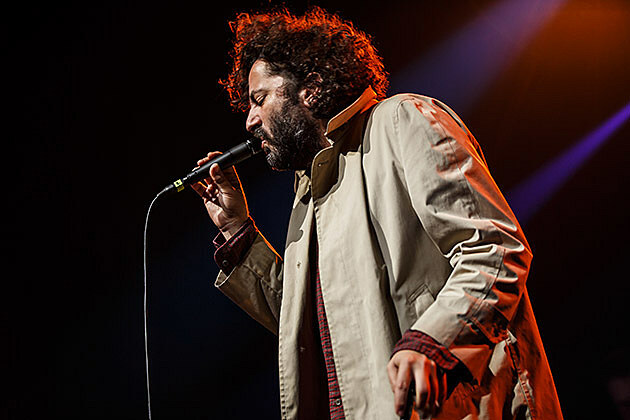 Dan Bejar’s latest Destroyer album, ken, brings icy postpunk to his signature romanticism which is a heady combination. Glass of wine usually in hand, Bejar brings a woozy magic to Destroyer live shows, aided by an ace band (and a crucial trumpet-player). Talib Kweli has been celebrating the 15th anniversary of his classic solo debut, Quality, with a residency at The Blue Note that began this past September. It wraps up with four consecutive nights this week, and there’s a different guest at each night. Tonight (night three) has arguably the most exciting guest, groundbreaking MC Rakim, who was surely an influence on Talib. Portland, OR chamber pop collective Typhoon recently returned with Offerings, an album that’s a bit darker than their earlier works but no less ambitious. It’s good stuff, and they’ll celebrate it with NYC shows at MHOW tonight and Rough Trade tomorrow. Death metal rippers Gatecreeper are still riding high off the strength of their Relapse debut, Sonoran Deprivation, which came out in 2016. They’re fresh off a tour with Cannibal Corpse and Power Trip, and will return to NYC tonight for a sold-out headlining show. Donald Glover continues to remain busy as both a musician and a comedian/actor, with the second season of Atlanta coming soon and a new Childish Gambino album looking pretty imminent too. As Childish Gambino, he plays a very intimate show tonight as part of the pre-Grammys “Citi Sound Vault” series. Violin-weilding singer/songwriter Emily Wells blends indie rock and hip hop, and it’s always a treat to see her unique style come to life. “Jacket required” is certainly not a problem for snappy dresser and former Walkmen frontman Hamilton Leithauser who wraps up his 10-night run at swanky dinner club Cafe Carlyle. DC ska vets The Pietasters remain very active and usually play NYC a few times a year. You’ll get another chance to see them tonight. Moon King’s Daniel Benjamin moved from Toronto to Detroit and with it shed his shoegaze tendencies in favor of low-fi dancepop. Two veterans of R&B/soul, Musiq Soulchild and Marsha Ambrosius, team up for this “His & Hers” show. This is a good double bill with two local heavy bands, noise band Gnaw (ex-Khanate) and black metal band Belus, who both released new albums last year (Cutting Pieces and Apophenia, respectively). New-ish Bushwick venue Elsewhere hosts a pretty solid triple bill of electronic art pop in their smaller Zone One room tonight. He just made his network TV debut this week on Late Night with Seth Meyers, and tonight Josh Gondleman headlines The Bell House with the promise of some very special guests.